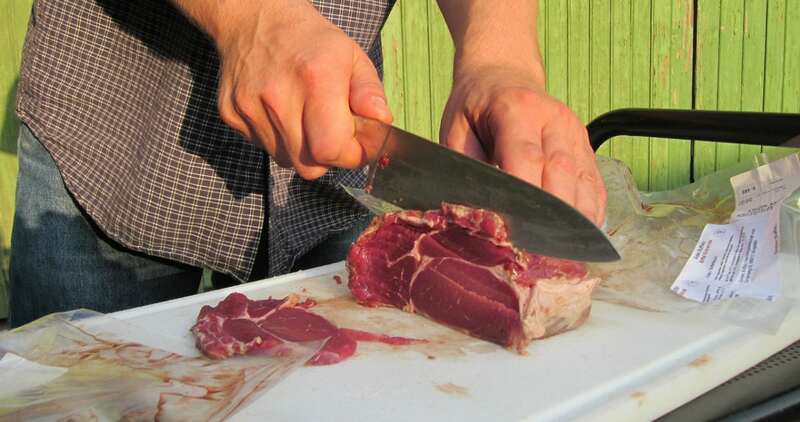 When it comes to food, human beings don’t play around. We love our food. We eat it at every life event, share it with others, pass down recipes from our family members, and invent fad diets. We’re vegetarian, pescatarian, vegan, and self-professed carnivores. We eat cake to celebrate birthdays and ice cream while we cry over broken relationships. We attach superstitions to peas and beans and eat them on New Year’s Eve. And if you’ve ever been to a party where there wasn’t any food, you’ll know that it wasn’t a fun party. Yes, there’s no doubt about it: the human race loves to eat. 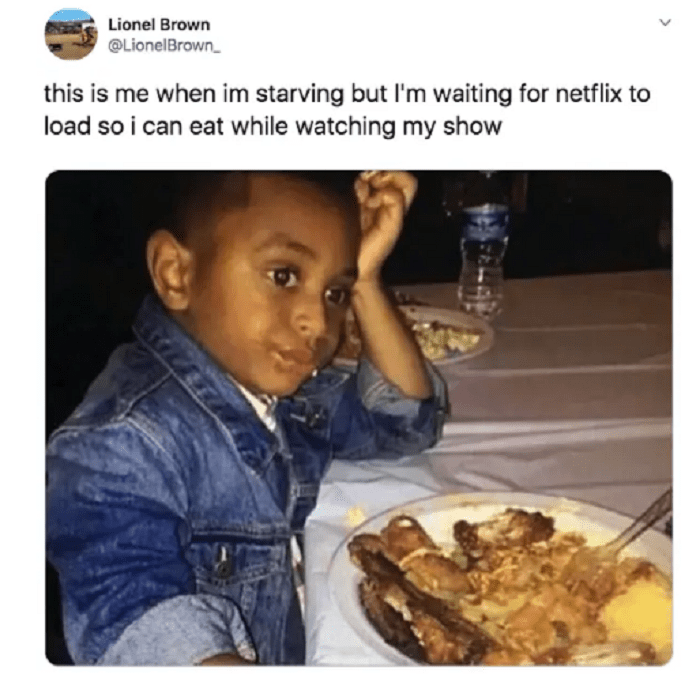 That’s why we binge-watch cooking shows on Netflix even if there’s not a chance we will ever cook ourselves. 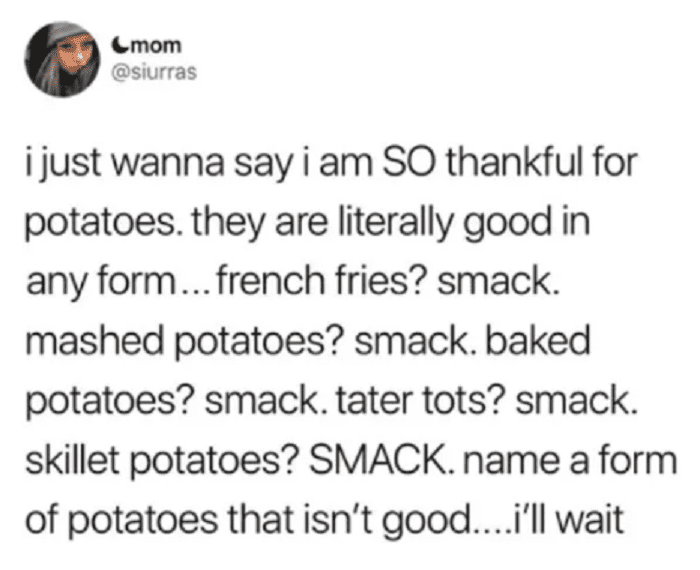 We also attach a lot of meaning to food. We put together meal trains for families with new babies and those who have lost a loved one. We cook one another our favorite meals and make special dishes for different holidays. We may eat to survive, but it’s so much more than that. So, the next time you’re eating a block of cheese in the kitchen at 3 a.m., think these deep thoughts about food and enjoy. 1. I’m sorry, Mom. I get it now. 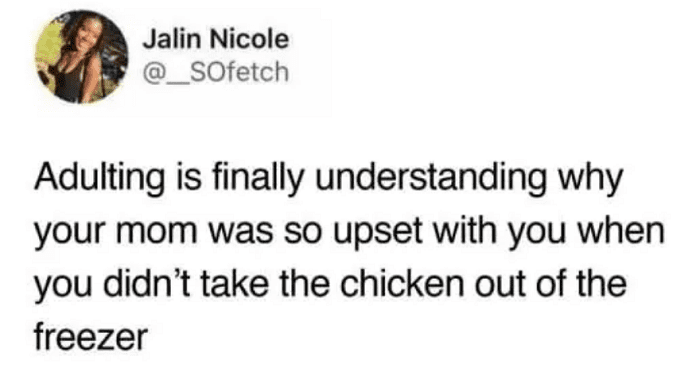 If kids understood how much time and effort it takes to cook, maybe they would put down their darn video games and take the chicken out of the freezer! If we didn’t appreciate it back then, we definitely do now that we’re doing it on our own. Sorry for that day back in 2004, Mom. 2. 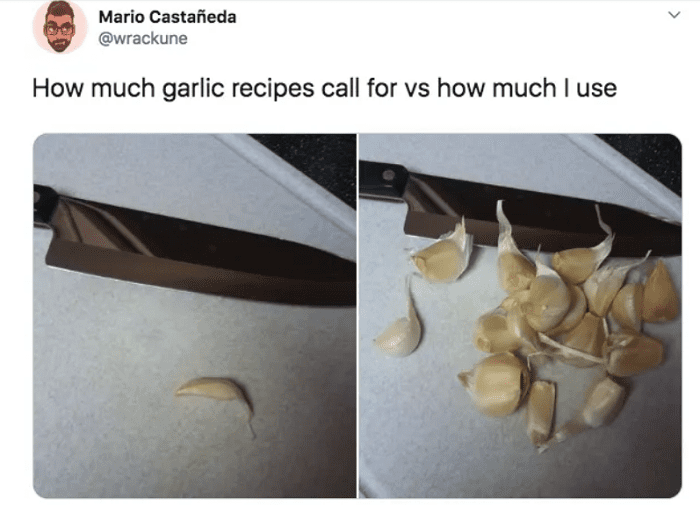 No garlic is too much garlic. The Italians have it right: garlic is one of the most delicious foods around. 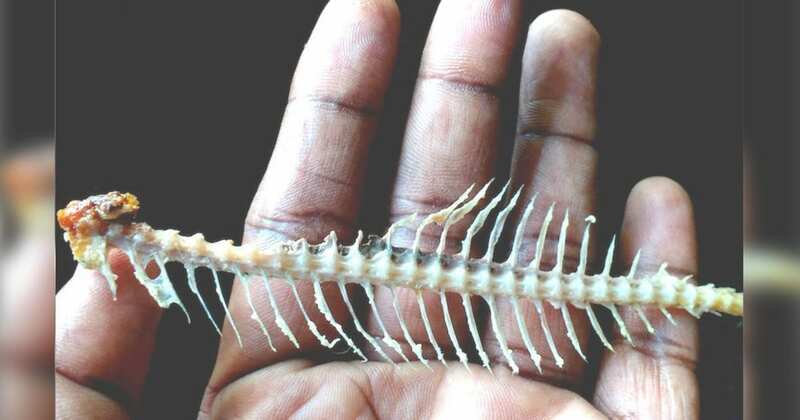 We don’t even care that it lingers on everyone’s breath who eats it for a while. 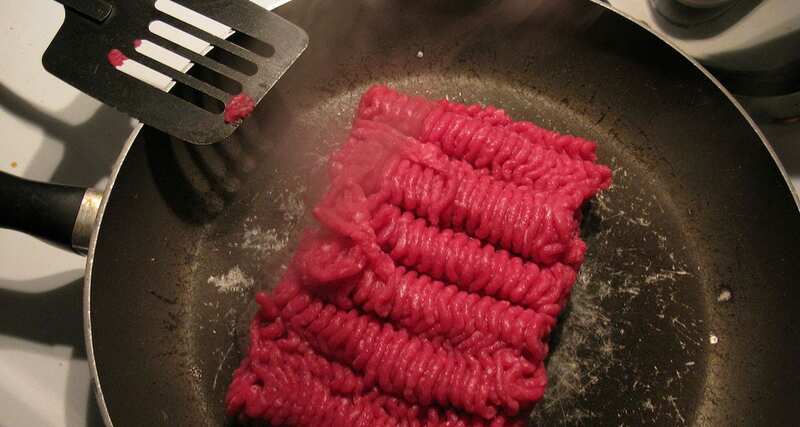 That stinky smell is worth it for an amazing meal. 3. Seriously, is there a scientific explanation for this? Spinach is touted as a health food these days, second only to its weirder cousin kale. 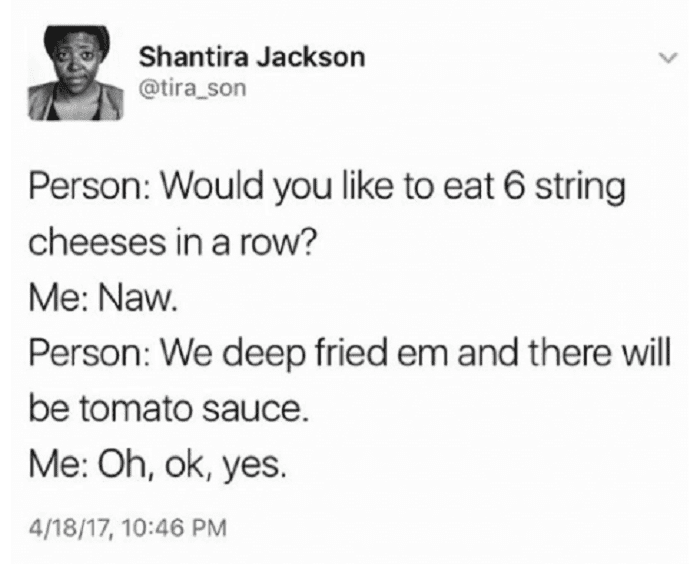 But honestly, is it even worth eating if you have to cook two bags of it to get a regular portion? What spinach wizardry is going on here? 4. You got too confident. We’ve all done it before, walked into the grocery store thinking we only need a gallon of milk and a loaf of bread. Before we know it, we’ve also got coffee beans, a jar of Nutella, and 10 cups of yogurt because hello, they were on sale! 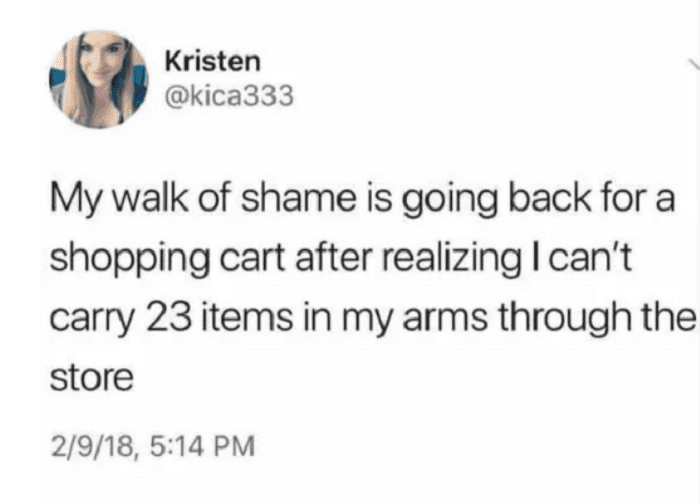 Now we just have to make it to the register without a disaster. 5. Bananas are all about missed opportunities. Bananas: we all buy them and eat them, but they’re a delicate business. 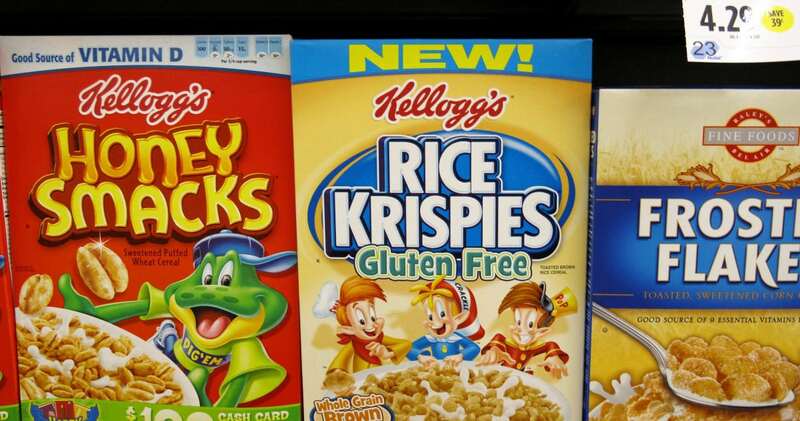 Do you buy the ones in the store that are just a little bit green and risk missing the sweet spot? 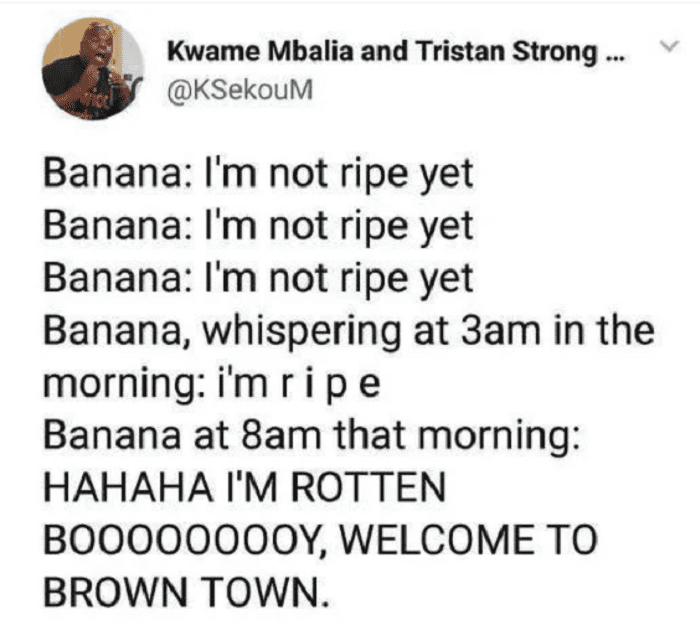 Do you buy the ripe ones and try to eat six bananas in two days? 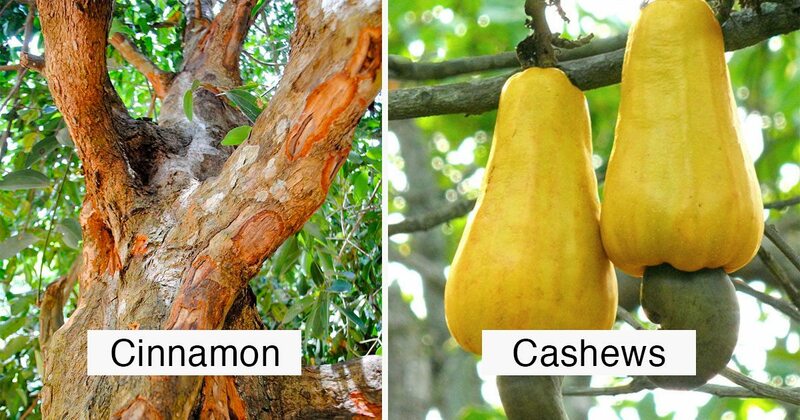 For a fruit that costs 40 cents, they cause a lot of headaches. 6. Bananas and avocados are in on it together. 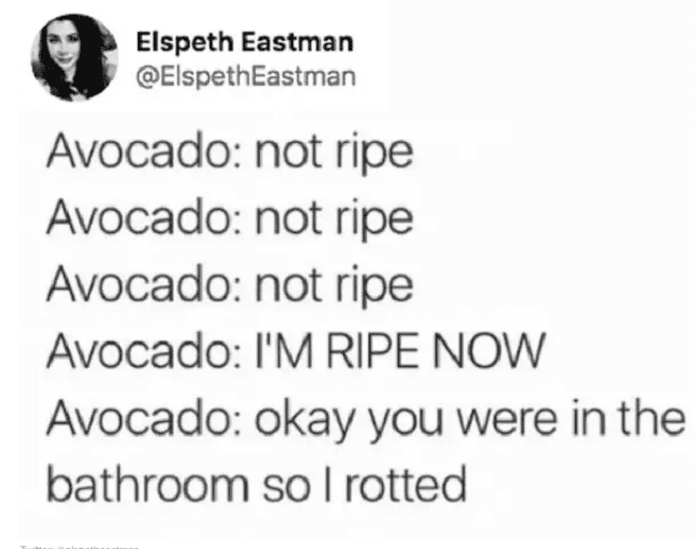 Millennials are known for their love of avocados, but it comes at a high price. If you want that avocado toast, you’d better eat it fast. There’s a short time frame between hard as a rock and brown mush. 7. 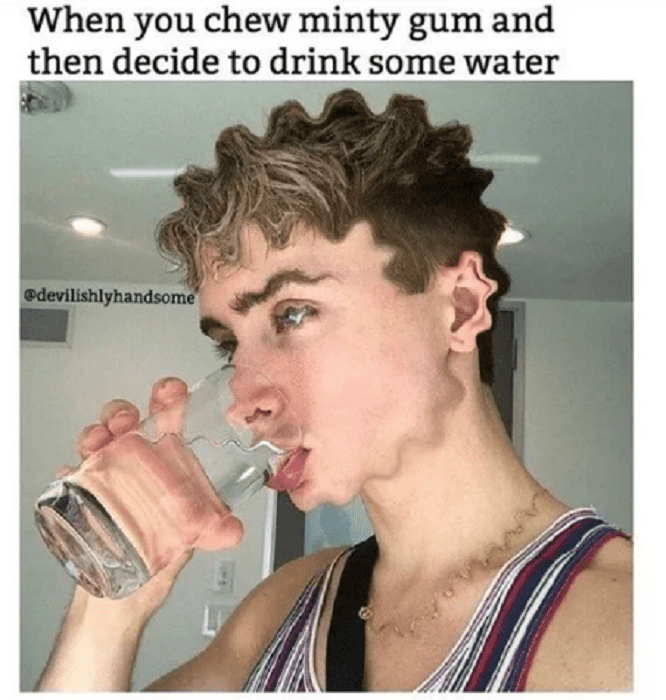 Remember, it’s important to stay hydrated. This is the kind of thing your parents said to you to get you to stop complaining when you were a kid. Water from different sources absolutely has its own unique flavor. If you were drinking enough, you would know that! 8. So don’t touch my knife, MOM. Here’s the dangerous thing about leaving that knife there: you know your mom will come along and wash it. 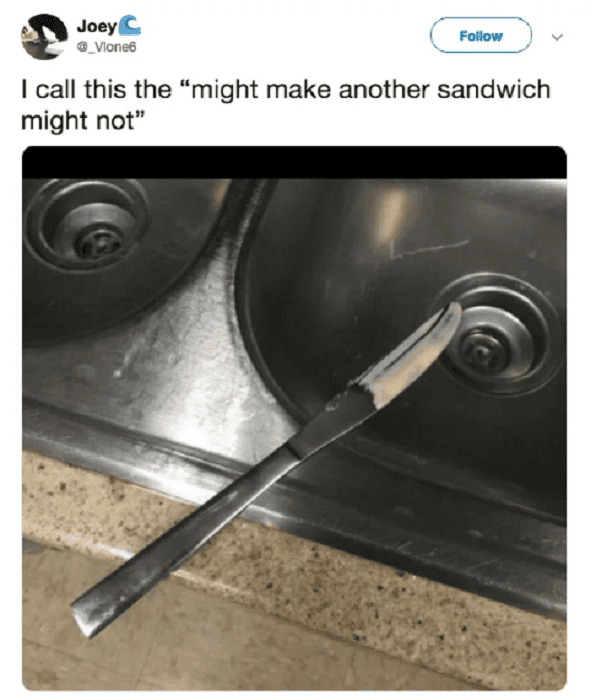 Then you’ll have to break out another knife for the second sandwich, and she’ll get upset because she’s always washing dishes. There’s a lot of pain involved in sandwich-making. 9. Bring on the heartburn. 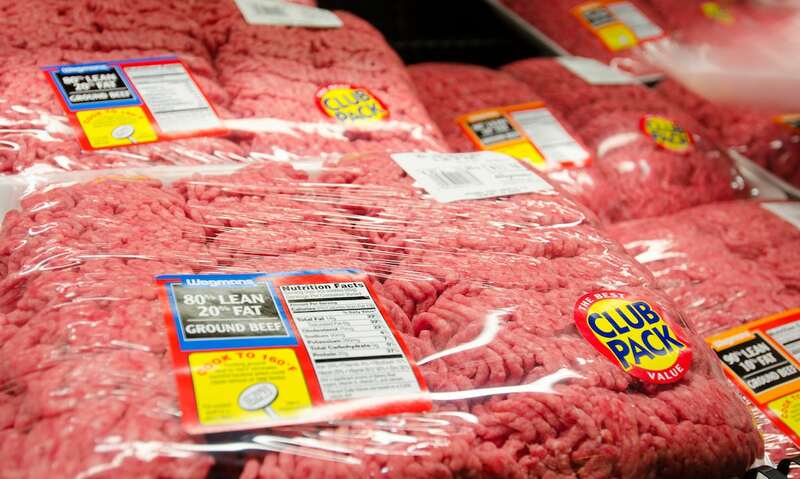 When you were a kid, you probably thought ketchup was spicy. Now, you’re willing to endure a whole night of acid burning through your esophagus if it means you can break out the hot stuff for dinner. Life is cruel that way. 10. 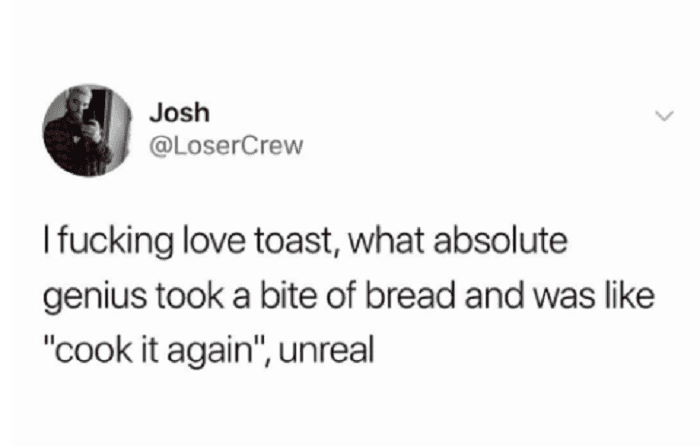 There is something magical about toast. Who can explain exactly why toast is so delicious? Does everybody go through times when they feel like they could eat a whole loaf of toasted bread? Is there something wrong with me? 11. If your arms aren’t shaking by those last few steps, you’re doing it wrong. 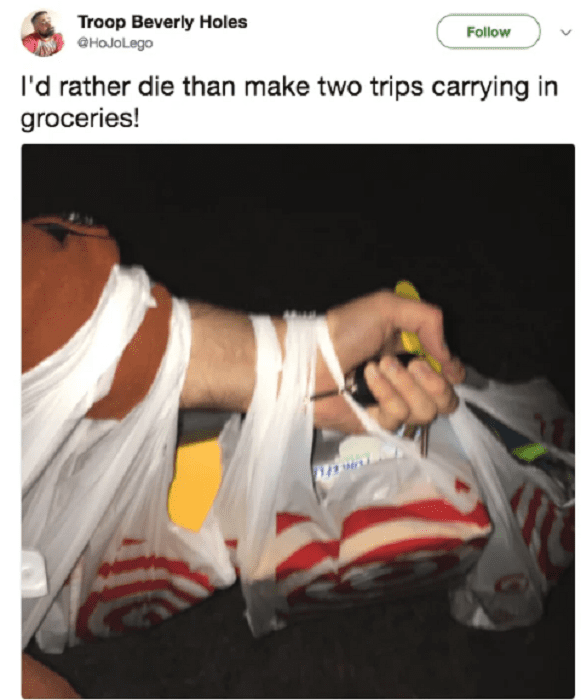 For some reason, we’ve all convinced ourselves that it’s more effort to go back out to the car a second time than to struggle with 10 grocery bags at once. Just think of it as your pre-snack workout before you dig into that package of Oreos you just bought. Now, which bag were they in? 12. Spoons think they’re being so helpful. 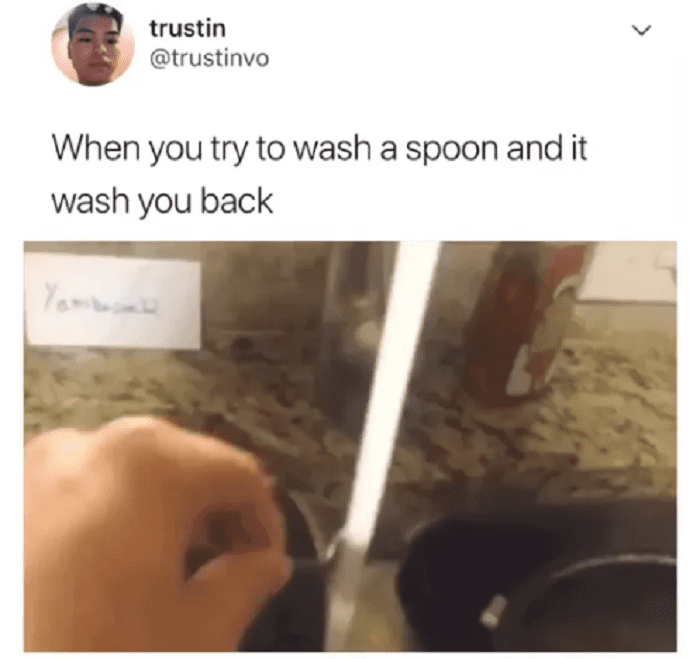 You’d think after a while we’d all learn to hold spoons downward when we do the dishes. But we’re young and foolish, and we think we can do it the other way, even though we’ve learned this lesson before. Maybe 100th time’s the charm? 13. There’s a very specific procedure for Netflix and snacking. There are a lot of important steps when it comes to preparing for a Netflix binge. You have to choose a snack with lots of care, then choose the perfect show to pair with it. The hard part is synching those two parts for ultimate enjoyment. 14. Subtitles are always the right choice, anyway. Here’s a prime example: overly crunchy snacks come at a price when watching Netflix. 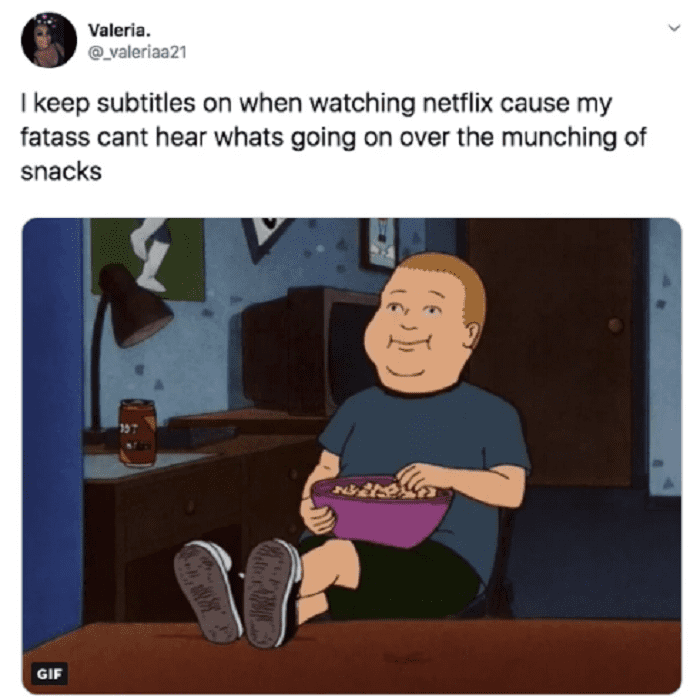 Just play it smart and keep the subtitles on all the time. Then you’ll be prepared for every snack eventuality. 15. 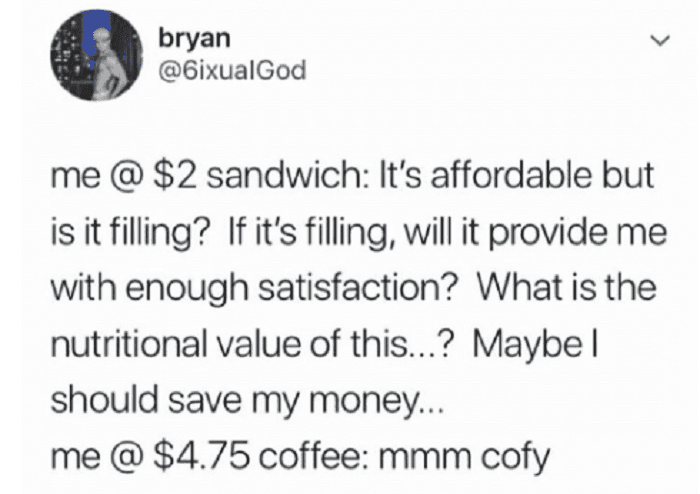 I feel personally attacked by this. At the end of the day when you flop into bed and massage your aching stomach, you’ll wonder: “Why did I eat so much fried cheese?” But at the end of your life, you’ll probably look back and ask, “Why didn’t I eat more fried cheese?” So really, what’s the most important question here? 16. This is why I’m always hungry and there’s never anything to eat. It would be so much easier if the dishes magically washed themselves at the end of the day. 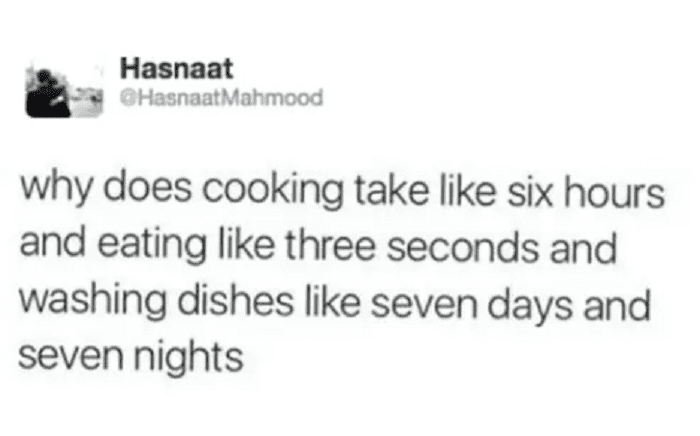 Cooking is hard work, so it feels way harder to go back and wash all those dishes when you’re done. We all need some house elves or something. 17. 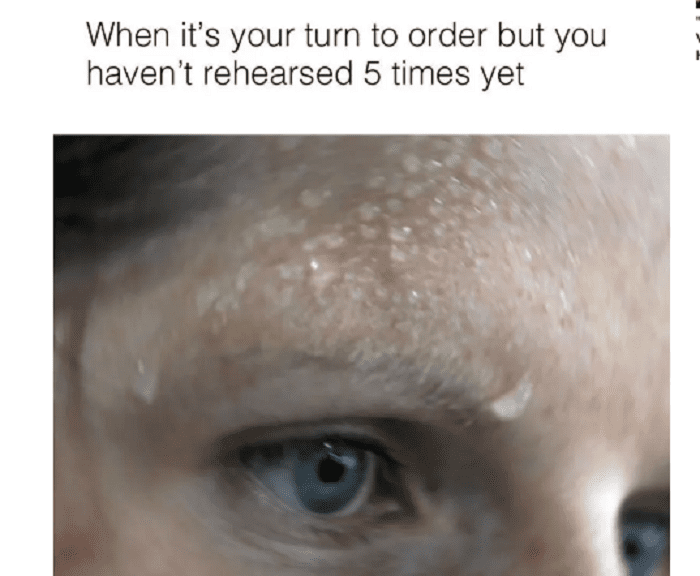 Why do I do this every single time?? You’re always so confident when you start out. 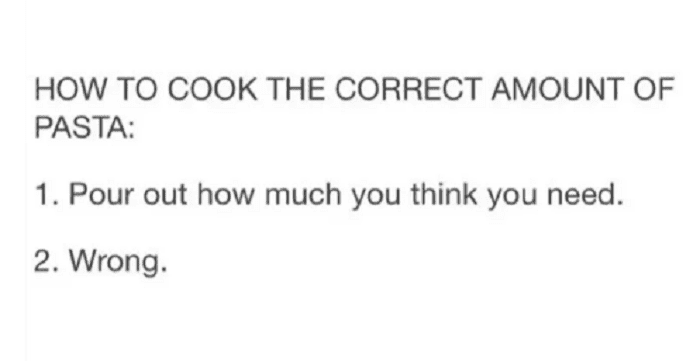 You’re thinking, of course you’ll remember how long your food needs to cook and at what temperature. So, you throw the packaging in the trash … and immediately forget every detail of what it said. 18. 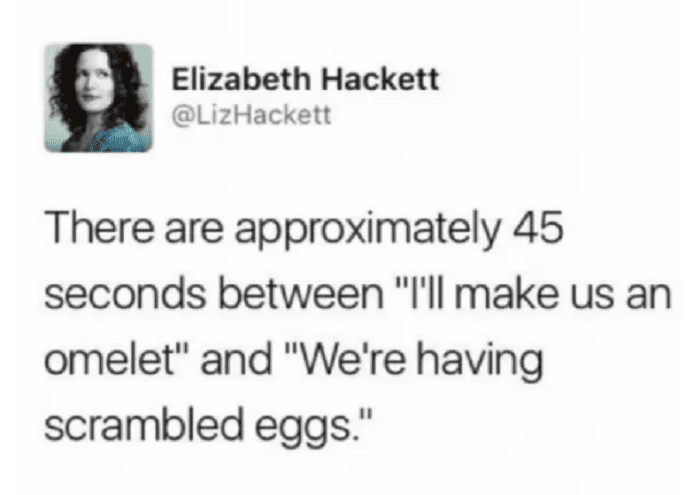 Where’s the setting for “Calm down, I’m just making quesadillas”? Does it make you a little suspicious about whether it would actually work if there was a fire? 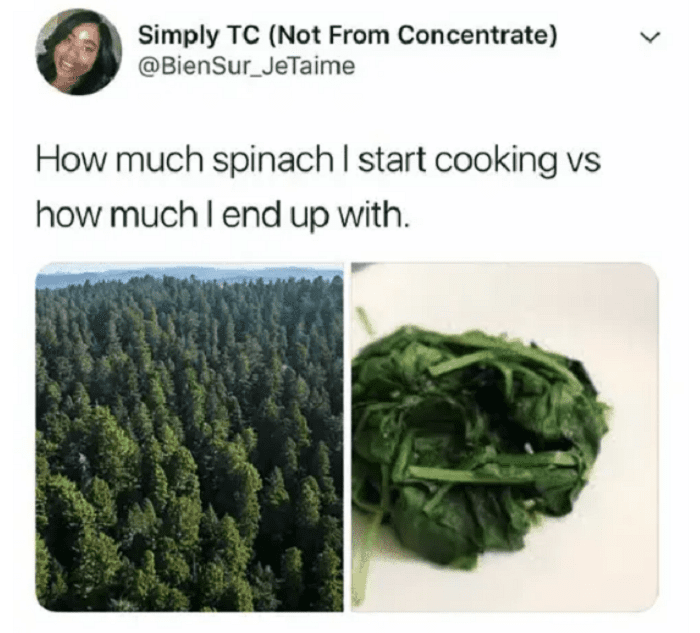 It’s a little overreactive when it comes to cooking, but if it’s that bad at doing its job, will it work when it’s supposed to? Shh, don’t think about that. Have another quesadilla. 20. Guess I know what lunch will be for the next week. When it comes to measuring pasta, we all get way too overconfident. What do you mean, “measure the ingredients”? Can’t I just eyeball them? Well, it turns out I’m really, really bad at eyeballing. 21. And YES, IT IS MY THIRD PIECE, OKAY? 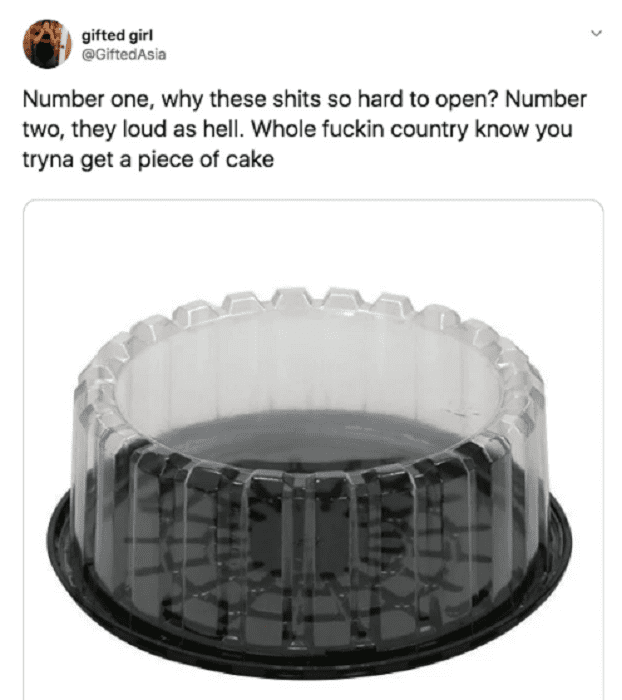 There’s nothing like having to fight for your cake. 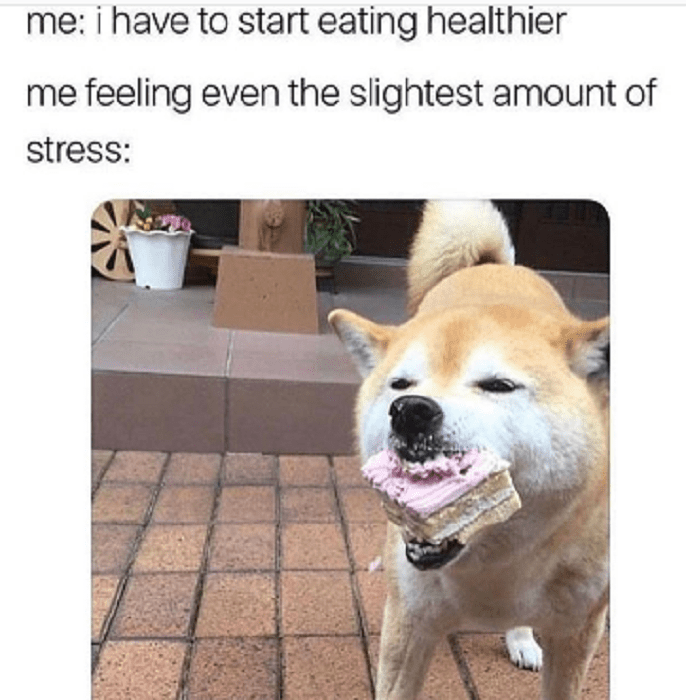 But it’s all worth it in the end, except for the fact that everyone knows when you’re having a snack. Don’t let them judge you. You earned that cake. 22. Don’t get overconfident with that spatula. The professional chefs make it look so easy, as though they’ve been flipping omelets since they could hold a spatula. But remember: they’re the experts. They started out just where you are: making scrambled eggs, again. 23. 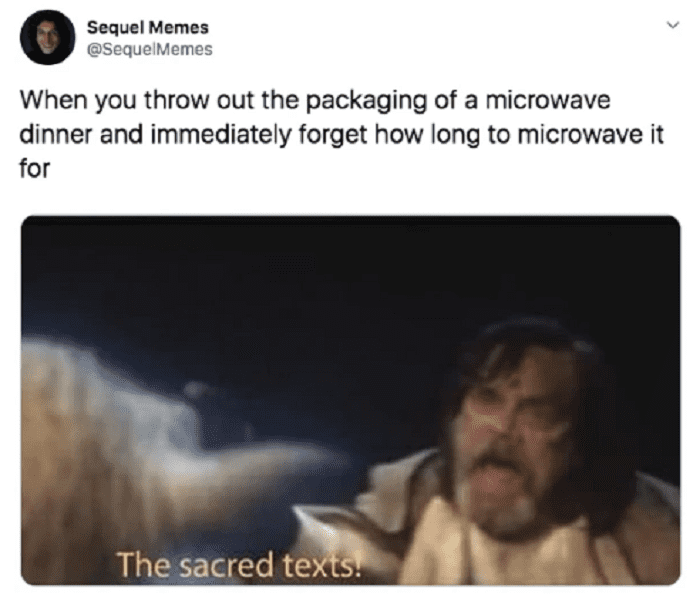 Usually when microwaving leftovers at 4:00 a.m. When you’re pulling an all-nighter and need some taquitos in the middle of the night, you’d better get that snack quietly. 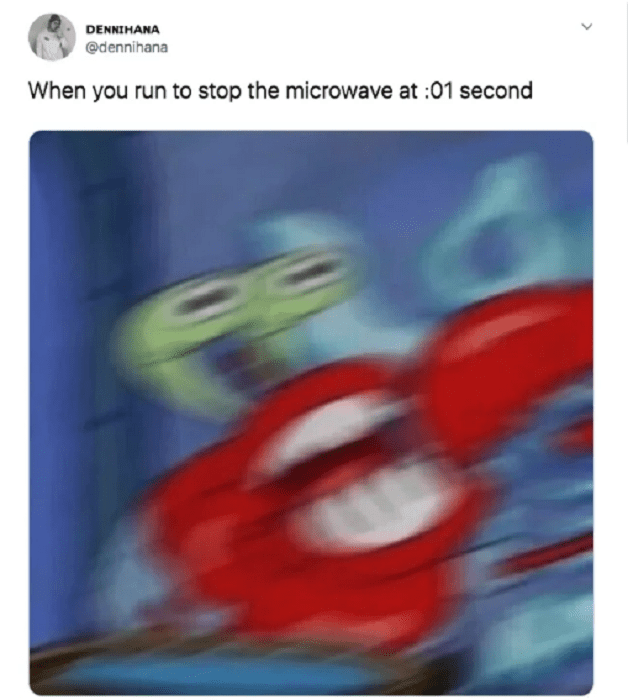 There’s nothing like a beeping microwave to bring your mother out to the kitchen. Operation: 4 a.m. Taquitos is a dangerous one. 24. If I say it wrong, everyone will notice. 25. 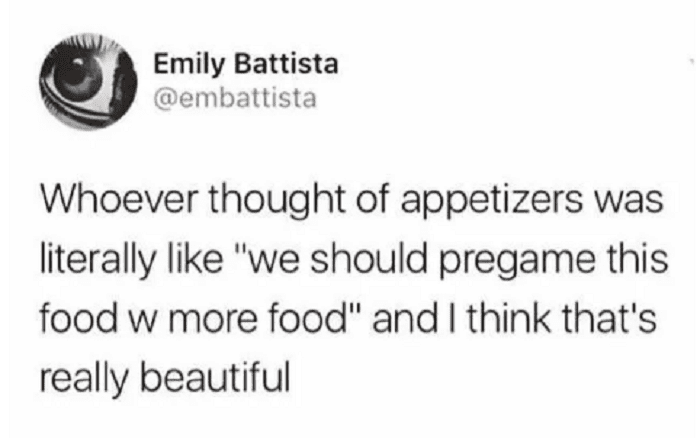 When in doubt, just eat more food. There’s no doubt that human beings love to eat. We do it for every major life event, from births to weddings to funerals. Whenever there’s an excuse to eat more food, we’re going to take it. 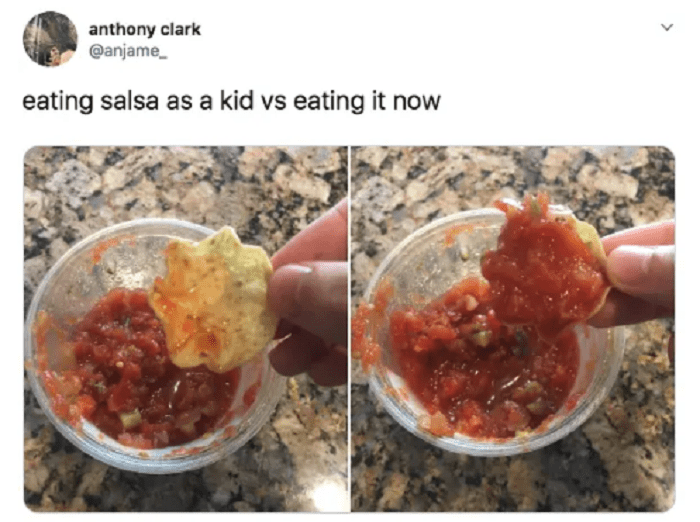 Now, please pass the chips and salsa. 26. The limit does not exist. Fun fact: scientists say that if you have to, you can survive on nothing but potatoes and butter. 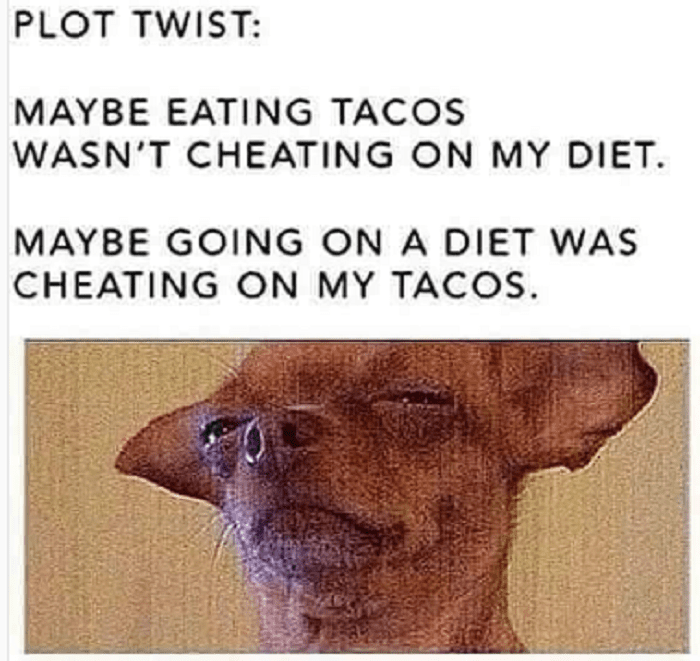 We don’t recommend trying this, but honestly, we can think of worse diets. You’d still have plenty of variety when it came to dishes. 27. Who needs food when you have caffeine? Millennials are known to be extremely stressed all the time, and some of it probably has to do with our diet. No, we don’t need to go paleo or start juicing, but we could probably use more square meals and less coffee. On second thought, forget that. We’re not giving up the caffeine. 28. I know it was five years ago, but still. Remember that one time when you were five and your mom made zucchini casserole? You told her it was disgusting and sat at the table all night because you wouldn’t eat it. You sure would be happy to have that casserole now, wouldn’t you? WOULDN’T you? 29. Food just speaks to me. 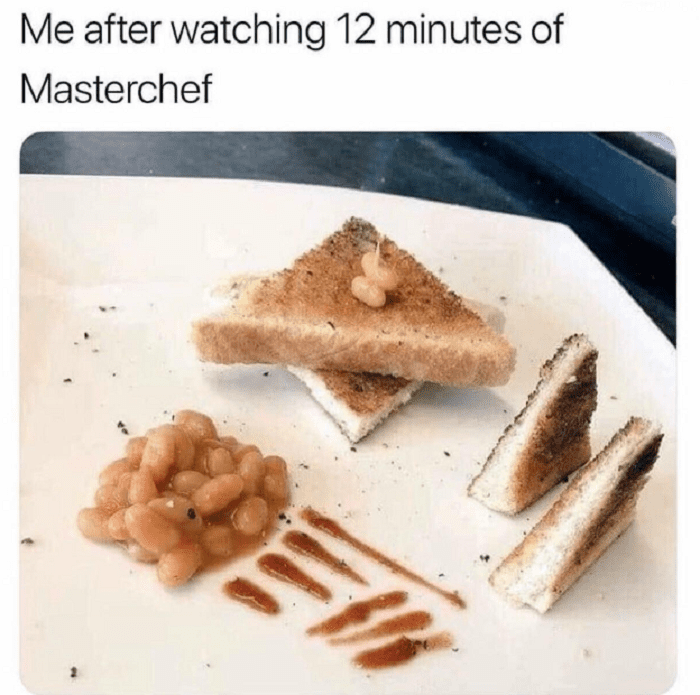 Once you get sucked into the world of food TV, there’s no getting out. Going forward, you’ll refer to bread as “brioche”, frosting as “ganache”, and any kind of sauce as a “reduction.” You’ll also have a strange desire to call everyone an idiot sandwich. 30. It’s a travel table, obviously. 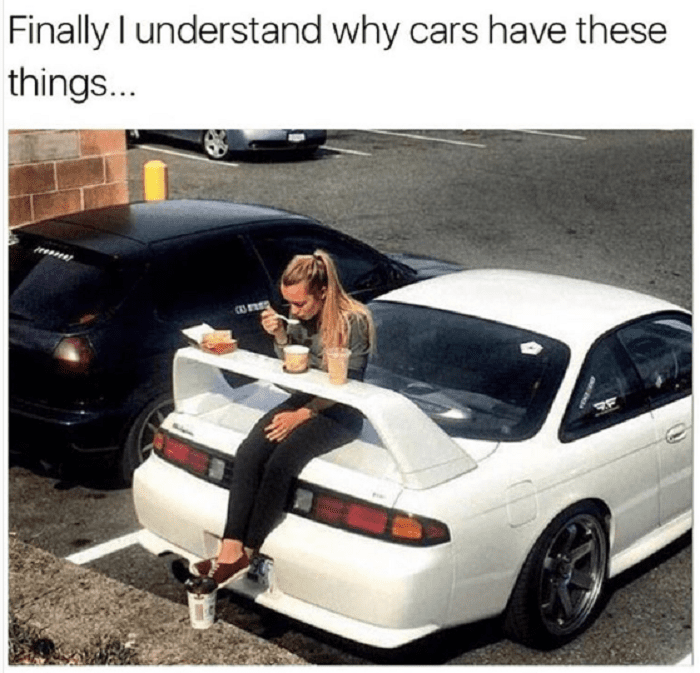 What’s the point of fancy cars if they don’t come with their own picnic table? Just slide right in and enjoy your meal. But try not to make eye contact with other people as you sit in the Walmart parking lot chowing down on your large soft pretzel. 31. 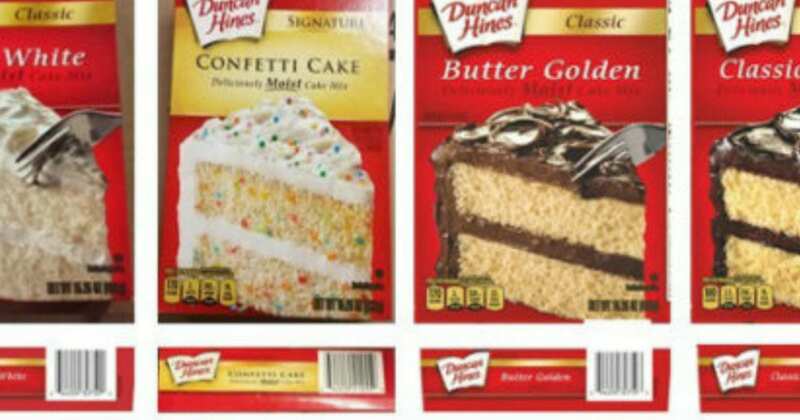 Cake is there to get you through the tough times. 32. 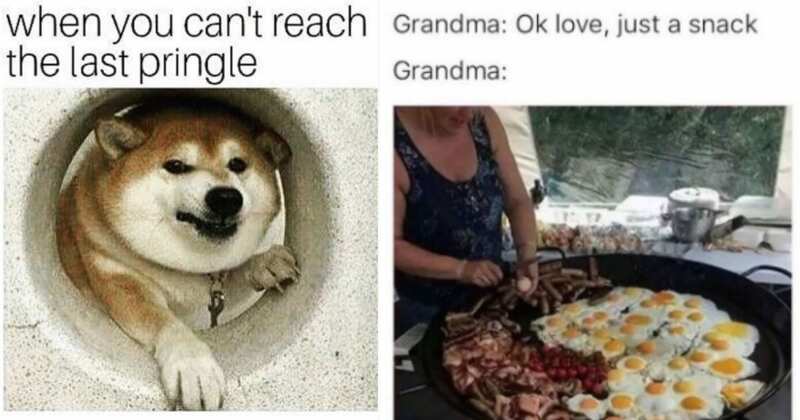 You can’t say no to Grandma. How do you make a family reunion screech to a halt? 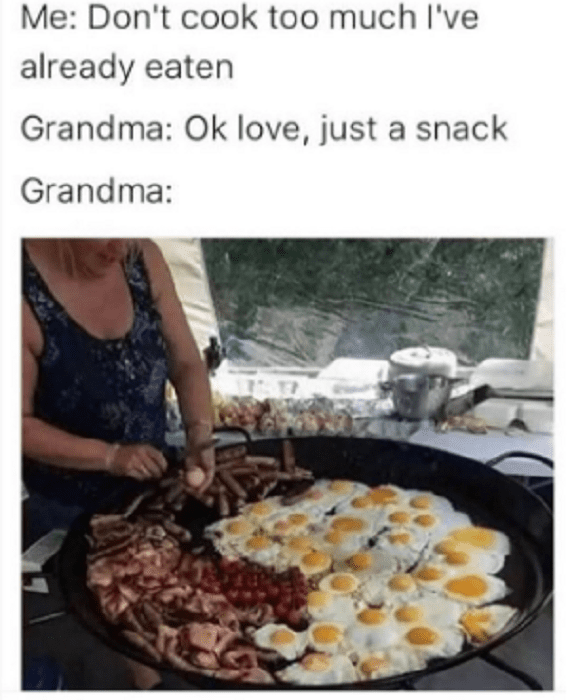 You refuse food when your grandma offers it to you. It doesn’t matter if it’s right after lunch and you walked in with a McDonald’s smoothie, you’re going to sit down and eat a meal fit for a king. 33. This makes perfect sense to me. Ahh, yes, the “Day Two Rationalizing” part of the diet. That’s the time when you start to think about all the wonderful food you’ve eaten in the past, and all the wonderful food you could be eating right now. There are so many tacos in the world. 34. We’ll never speak of this again. 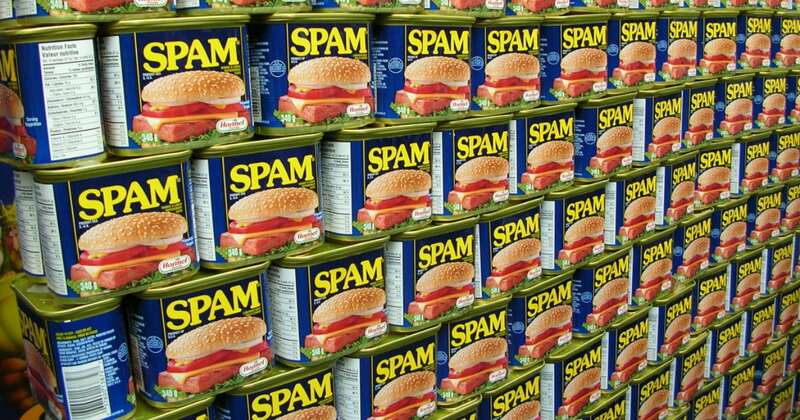 Isn’t this the view of everyone’s bedspread the day after Halloween? Come Nov. 1, there is so much discount candy to eat. 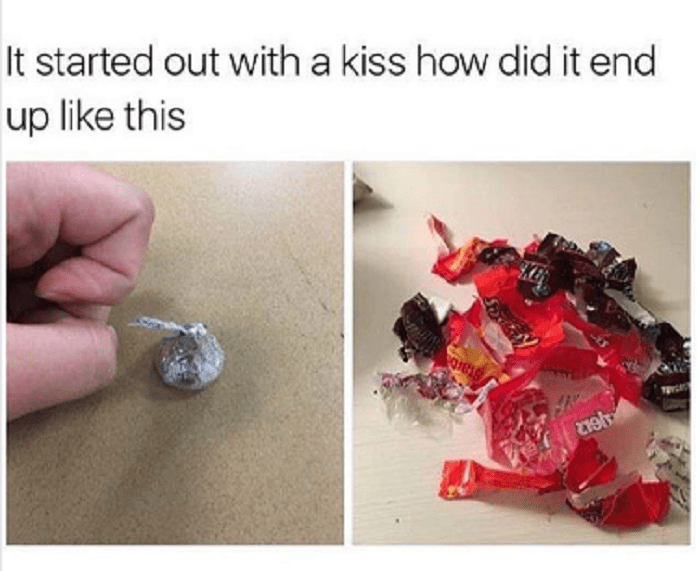 Just beware: it starts out with a kiss, but then it progresses to a Snickers, and before you know it, you’re eating all the Reese’s cups. 35. No man left behind. 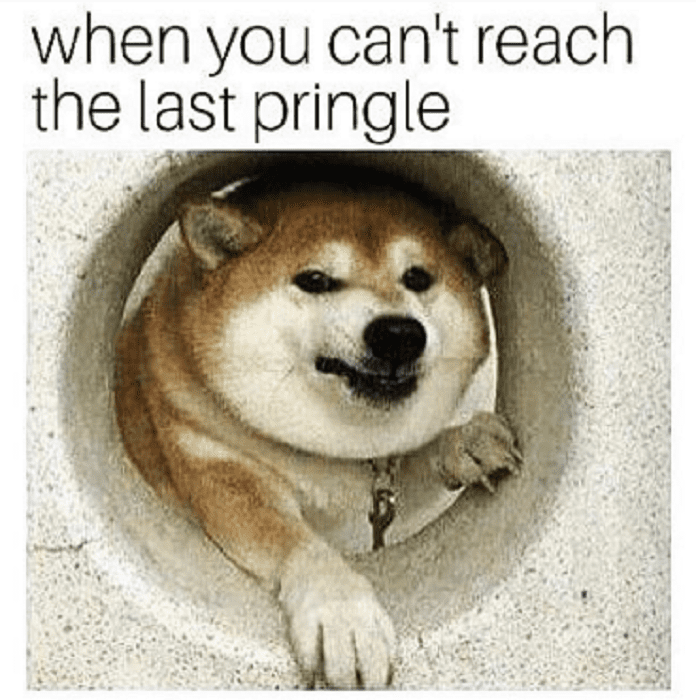 If you think that any sane person would leave behind the last Pringle, then you don’t really know the strength of the human spirit. We’re not quitters. If there is a chip left behind, we’ll do everything we can to make sure to find and eat it.